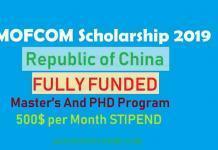 Applications are invited for China Road and Bridge Corporation HEC Fully Funded CRBC Scholarship Program By China. CRBC is one of the four large-scale, state-owned companies in China and they are currently working in Pakistan. China Road and Bridge Corporation CRBC mainly focus on a contraction of roads, bridges, ports, railways, airports, tunnels etc. 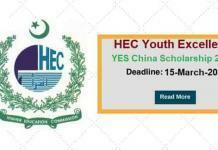 HEC CRBC Scholarship Program 2019 in China is for Pakistani students by the Higher Education Commission. 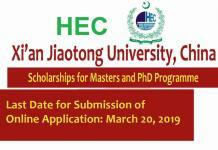 The HEC CRBC Scholarship 2019 is a fully funded program to complete a Master degree program in South East University China. The South East University is one of the Higher Education Institution first established in China which is a key university of nationwide. China Road and Bridge Corporation HEC Fully Funded CRBC Scholarship Program By China, cooperating with Southeast University of China (SEU), is planning to carry out the admission program of Master of Engineering for “China Pakistan Economic Corridor (CPEC)”. 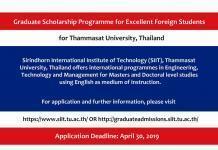 The scholarships will be offered for Master Degree in Transportation Engineering. The Master program shall be of two years. 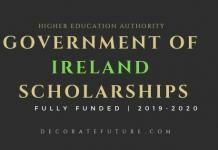 The HEC Fully Funded CRBC Scholarship Program will sponsor selected students who meet the admission criteria for the Master’s degree programs, starting from fall 2019. Living stipend (standard to be decided by CRBC/funding partner) for all Pakistani awardees. ​In case of employment, No Objection Certificate (NOC) from applicant’s employer will be required from short listed candidates. Must fill all the fields of HEC application form (Online) and no column or field should be left unfilled. All applicants must fulfil the basic eligibility requirements of CRBC China, and SEU China. 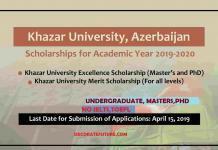 The Last Date to Apply for the HEC CRBC Scholarship Program 2019 Online application on HEC portal is on or before14th March 2019. The duration of the HEC CRBC Scholarship Program 2019 is valid for a maximum of two academic years for the period of 2019 to 2021 starting from fall 2019.